Take a stop every now and then. Plan a vacation every now and then. Take in the abundance of nature and live the best moments of your life amidst nature’s most beautiful sceneries. The sight of tons of water spilling over the edge of a cliff or cascading over rocks is always an impressive sight. Read Most Impressive Waterfalls around the World. It is one of the most famous waterfalls in the world, the Niagara Falls is a breathtaking sight. Located between the province of Ontario and the state of New York, Niagara Falls is actually three different falls. 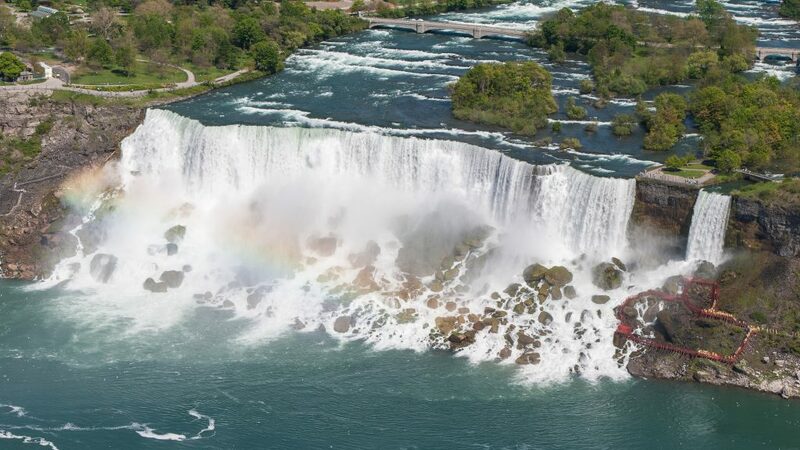 From largest to smallest, the three waterfalls are the Horseshoe Falls, the American Falls, and the Bridal Veil Falls. The best-known tourist attraction at Niagara Falls is the Maid of the Mist boat cruise. It carries passengers into the rapids immediately below the falls. With more than 14 million tourists each year the Niagara Falls is one of the most visited tourist attraction in the world. Described as ‘Mosi-oa-Tunya’ – ‘The Smoke that Thunders’, the Victoria Falls is popularly known as the greatest curtain of falling water in the world. 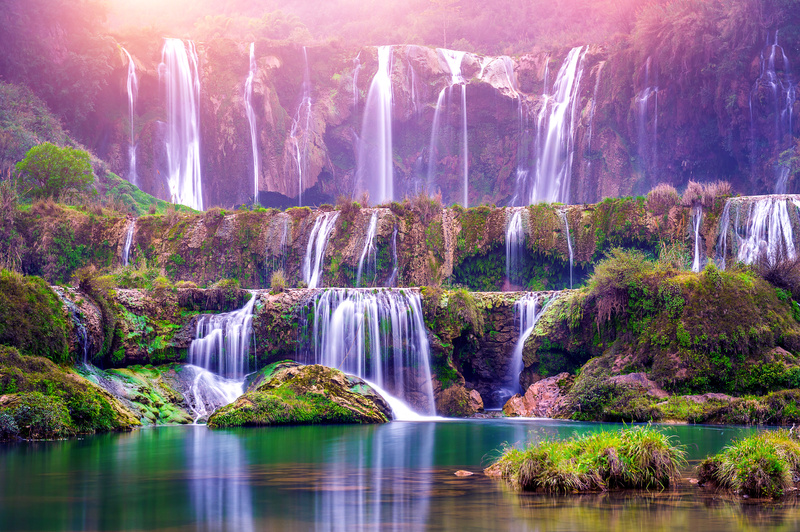 Often claimed to be the largest of all waterfalls, it is also considered to be among the Seven Natural Wonders of the World. The Devil’s Pool is the most famous feature of the Victoria Falls. People can swim as close as possible to the edge of the falls within the pool due to a natural rock wall just below the water that stops their progress despite the current. However, the Devil’s Pool is very dangerous, since at least one person dies each year. 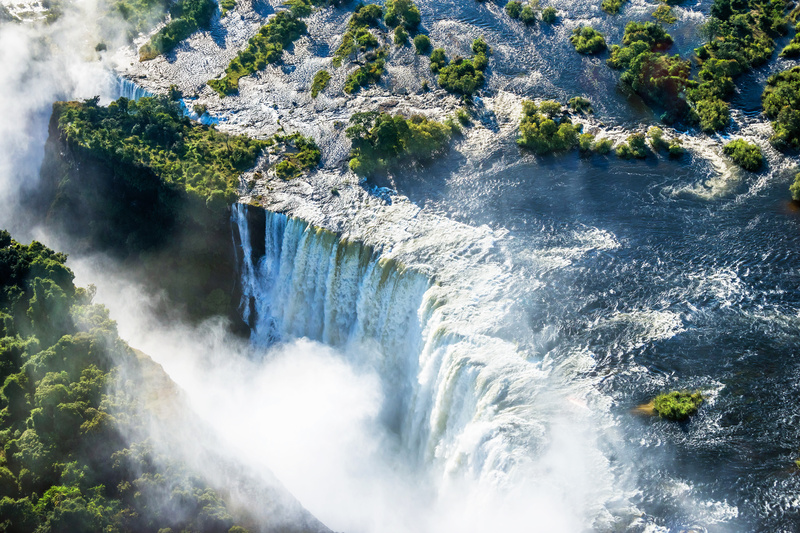 The noise of Victoria Falls can be heard from a distance of 40 kilometers, while the spray and mist from the falling water are rising to a height of over 400 meters and can be seen from a distance of 50 kilometers. 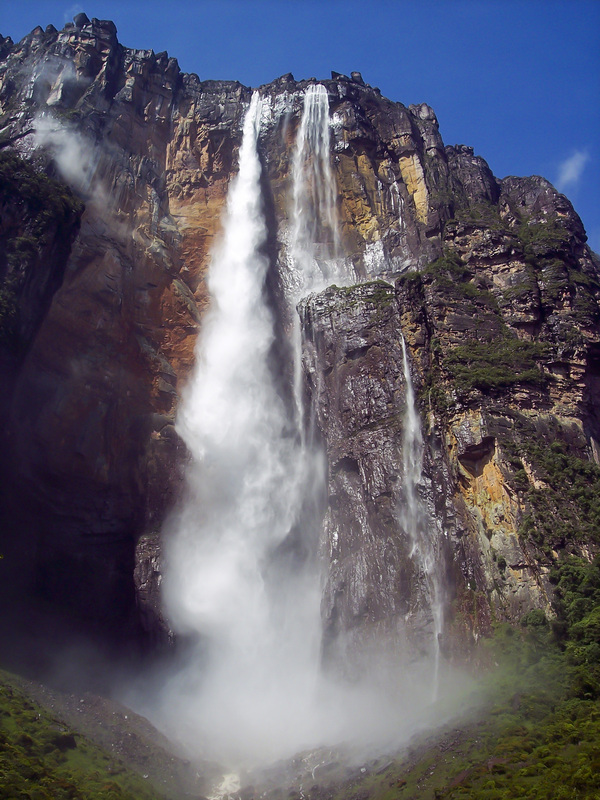 Angel Falls or Salto Ángel is the world’s highest waterfall, about 3212 feet high, with the single longest drop at 2648 feet. During the rainy season the Angel waterfalls split down into two separate waterfalls. In the summer season, the water at Angel falls get evaporate before reaching the base and create mist. It is also the world’s UNESCO Heritage site that is only accessible by air. Considered among the World’s most dazzling natural wonders, the Angel Falls are a truly unforgettable experience. Located on the border of Argentina and Brazil, the Iguazu waterfall is 269 feet high with 450000 cubic feet of water flowing down every second. 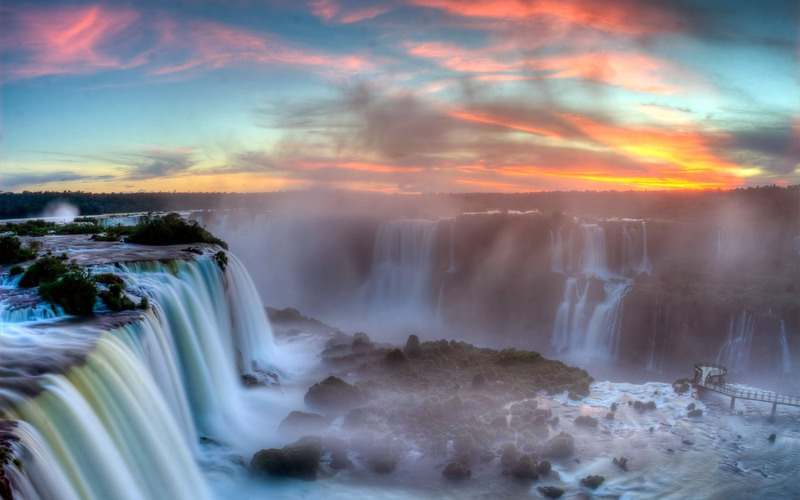 This waterfall system consists of 275 falls along the Iguazu River. Its focal point is its highest fall, the Devils throat where the power of the river is unnerving. With its size and scale unlike any other waterfall on Earth, the Iguazu Falls is truly a magnificent display of nature. It was also selected as one of the winners of the New Seven Wonders of Nature competition. 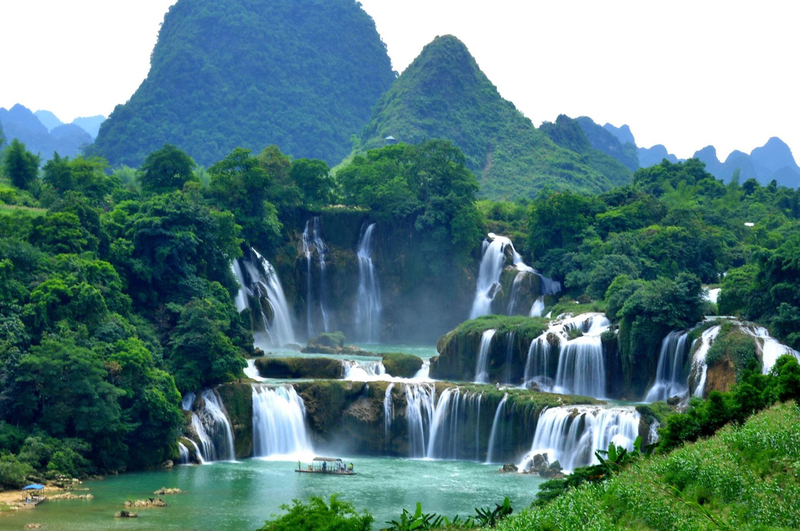 The Detian falls or the Virtuous Heaven Falls is said to be the largest waterfall in Asia and the second largest transnational waterfall in the world. It is located on the borders of China and Vietnam. The Detian Waterfall is over 200 meters wide and has a drop of more than 70 meters. Its water rushes down a three-tiered cliff with tremendous force. Different seasons of the year create different natural sceneries around the waterfall. Throughout the autumn months, the area around the waterfall turns golden-yellow, creating a harvest scene. The best time to visit this waterfall is at sunrise. One can see the beauty of the rainbow and silver waterfall show at the same time. This waterfall is popularly known as the Golden Falls on the white river. It is 32 meters high and one of the most popular tourist attractions in Iceland. On a sunlit day, the mist clouds surrounding the hammering falls are filled with dozens of Rainbows. This provides an unparalleled spectacle of color and motion. 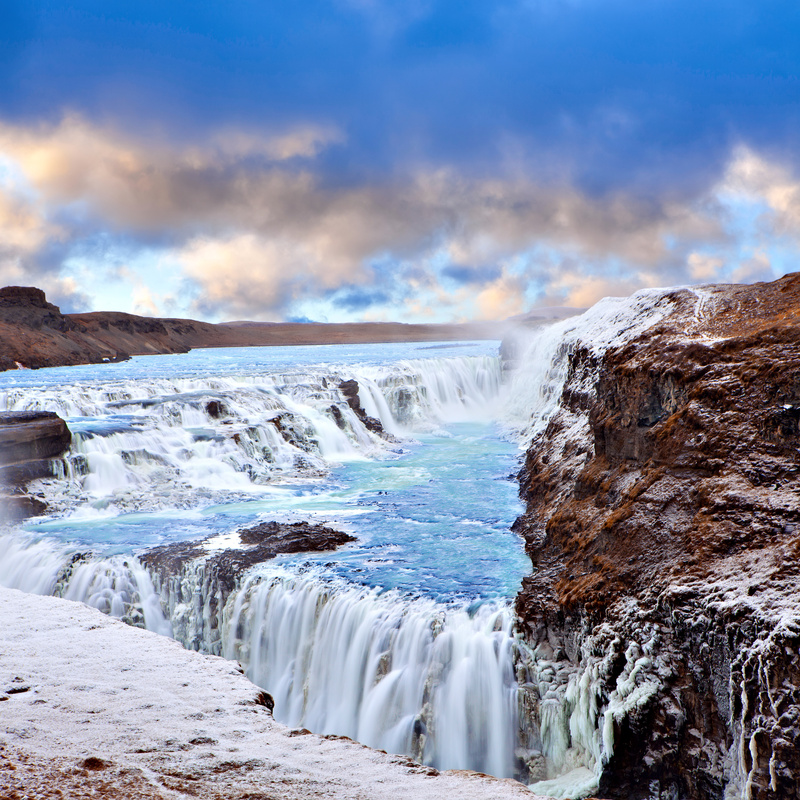 Gullfoss is an example of a waterfall forming where The water has followed a fissure in the lava and carved A passageway through it. Yosemite Falls is the highest waterfall in North America. It is home to a countless number of waterfalls. The source of water is melting snow and pours down a cliffside in three cascades. 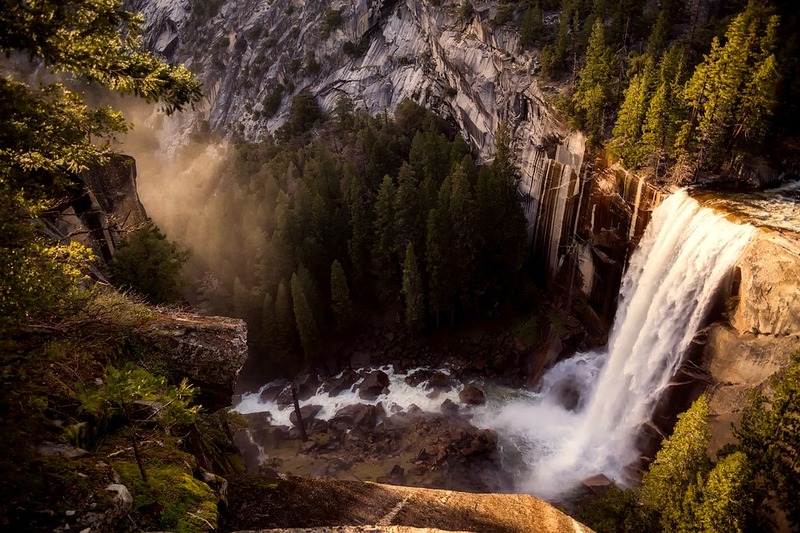 It provides picturesque views from multiple locations within Yosemite National Park in California. The best time to see waterfalls is during spring when most of the snowmelt occurs. To get spectacular views of Yosemite Valley, Half Dome, and Sentinel Rock, one can take a 1000 foot climb to Columbia Rock. 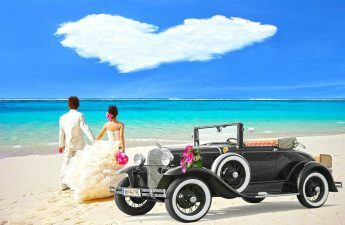 Tagged Angel falls, Detian falls, Devils poo, Gullfoss falls, Iguazu falls, nature’s most beautiful sceneries, Niagara Falls, second largest transnational waterfall in the world, Seven wonders of the world, Victoria falls, world’s most impressive waterfalls, worlds highest waterfall, Yosemite falls. It will bring us more fun and unforgettable moments and experiences. Falls are majestic! I do think safety measures should be observed when visiting to these amazing places. Will include Angel Falls, Venezuela in my travel wish list. Any tips? since I haven’t yet tried traveling to Venezuela. be tweeting this to my followers! Wonderful blog and brilliant style and design.